Waypoint Cabinet Reviews 2019 - New Company, Great Cabinets! / Waypoint Cabinet Reviews 2019 – New Company, Great Cabinets! Waypoint Cabinet Reviews 2019 – New Company, Great Cabinets! Waypoint Living Spaces is the latest offering from American Woodmark and while it’s a relatively new company it’s proving a popular option for home furnishings. American Woodmark themselves are of the top 3 cabinet makers in the U.S. Their products are in dealerships and homes up and down the country. In this Waypoint cabinet reviews guide we will be talking about about the history of Waypoint, some of their values as a company, the types of cabinets they produce, reviews of their cabinets, and we will talk about Waypoint's cabinet warranty policy. 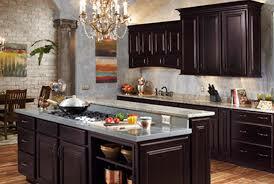 The company is based from Winchester, VA, and it’s goal is to make cabinet buying stress free for the customer. The whole process is simplified in 3 different ways, more choice, higher quality, fast construction and delivery. American Woodmark is built on the back of it’s quality and craftsmanship, making a name for itself as one of the country’s best cabinet makers around. Sold exclusively through Independent Kitchen and Bath Specialists, Waypoint is a mid level cabinet producer that suits a mid range budget. They have some really good pieces that have been designed and produced effectively. 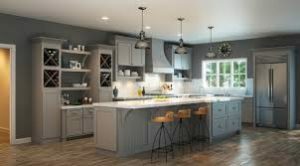 If you’re looking to remodel your kitchen you might find Waypoint Living Spaces the place to go. Waypoint don’t just produce furniture, they produce solutions to problems affecting all American homeowners. They’ve made collections for kitchens and bathrooms which include all kinds of special products and useful add ons. At the heart of way point is the cabinet, and more specifically their kitchen cabinets which have been made to be both functional and stylish. 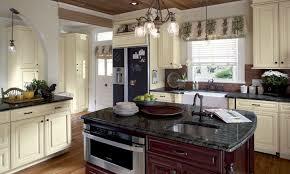 Waypoint cabinets are able to bring together the kitchen and complete a room. Waypoint believe in creating cabinets that last. This isn’t easy given the amount of wear and tear they face, in fact it’s said most cabinets will be opened or closed over 10,000 times a year. To try and resist this they’ve added some steps to the construction process to make the products more durable. Waypoint take their craft seriously and every manufacturing choice has been taken deliberately to provide value to the customer. They want their products to stand the test of time and so before any modern features have been added they quality check every element within the cabinets. The result is a sturdy well made cabinet of the high quality we’ve come to expect from American Woodmark. 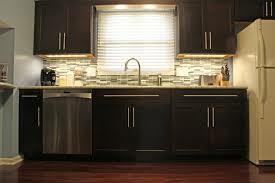 At the heart of Waypoint Living Spaces is their kitchen cabinetry. They’ve designed them so that the customer has a massive amount of choice, making their semi custom cabinetry very close to custom cabinetry. The most popular units are the base units or wall mounted units, both of which can be built to different size specifications. This allows you to use the space you have available most effectively. Most Waypoint Cabinets are made with furniture board, but for most models you have the option of upgrading to plywood. Plywood is more durable and takes to colouring/finishes better, but it is a little more expensive. If you can afford it it’s normally a good choice. With materials specially sourced from trusted providers each of these give a distinct look to your cabinet. Whether you have a more traditional or modern kitchen you’ll be able to find the right option for you. If you are looking for another company that has a similar range of options I would suggest Diamond cabinets and Shenandoah cabinets! Within each of these are a number of different collections. Ranging from traditional or classic looks to more off the wall transitional pieces you’ll find Waypoint selection is not lacking. In fact you may have to dedicate some time to sitting down and exploring exactly what you want beforehand so you aren’t overwhelmed. Select from over 50 different unique finishes that let you adapt the colour of the wood. All of the speciality finishes are applied to bring out the natural colouring and also protect the surface from daily wear and tear. Choose from light, medium or dark finishes which are applied by hand by experts. Waypoint offer a range of additional features with their cabinets. 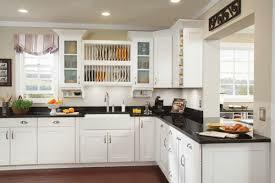 Moldings offer a classic look, that really says quality in your kitchen. Waypoint custom moldings are hand built and the attention to detail is impressive. Different organisation options includes extra shelving, deep roll out trays and full height pull outs. These allow for more functionality with the cabinets and make them extremely useful to your home. If you prefer it there are glass door options and metal frame options available. These work well for display cabinets and can come with light fixtures. Waypoint offer a range of decorative additions and hardware that includes antique handles. All of these are finishing touches that add character to your cabinet, really completing the look of your cabinet and kitchen. Waypoint have an impressive amount of choice and you can see why they’re a popular option. The range of functionality options is remarkable and It’s like they’ve foreseen any storage issues that could affect the customer. If you’re tight for space and like an efficient home you’re bound to find some a great option for your kitchen. We recently completed a complete kitchen overhaul and for the most part are very pleased with Waypoint cabinets. We purchased the 720R in Maple Auburn Glaze and Hazelnut Glaze. While spending close to $20,000 on cabinets, they still represented a very good value for an American-made product. There is unfortunately no perfect cabinet maker and mistakes do happen, but with Waypoint they seem to be fairly isolated incidents and not the norm. Be sure to thoroughly check all of your units upon delivery so you can get any issues resolved quickly, and allow some extra time to do so. Overall customers seem pleased with the value of Waypoint and tend to agree that for this price the construction and style choices are impressive, making them a good addition to the home. Waypoint Living Spaces stand behind their cabinets by offering a lifetime warranty. This covers your units from all workmanship and material defects for as long as you own the product. Check with your dealer before purchase to make sure you know exactly what is and isn’t covered, this will keep you in control if anything does go wrong. Waypoint Living Spaces are the midrange cabinet producers that have shown they know what customers want/ need. They have brought traditional construction quality and combined it with modern functionality, allowing for a more practical cabinet that can do more for you. Waypoint Cabinetry isn’t the most adventurous out there and the design choices won’t blow you away, but for the price it’s decent. The personalisation options are varied and you’ll likely end up with a cabinet that is as close to custom as your budget allows. Waypoint are offering clear value for your home and producing cabinets that will last even in busy households. While it won’t be comparable to the top end brands it’s still good furniture at a competitive price. 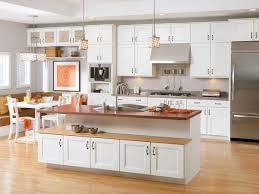 Check out more kitchen cabinet reviews on our kitchen products page.